It is a naturally occurring element that is found in air, water and soil, but exposure to it can be toxic to human health and poses a particular threat to children and pregnant women. 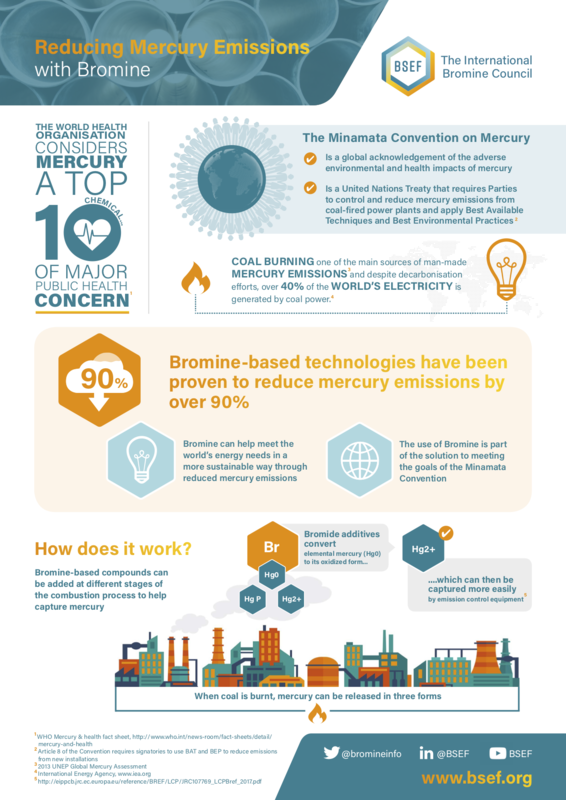 Bromine plays a key role on reducing Mercury Emissions globally. Bromine-based technologies have been proven very effective in reducing mercury emissions. In fact, Bromine based products can reduce mercury emissions from coal-fired power plants and other industrial installations in excess of 90%.